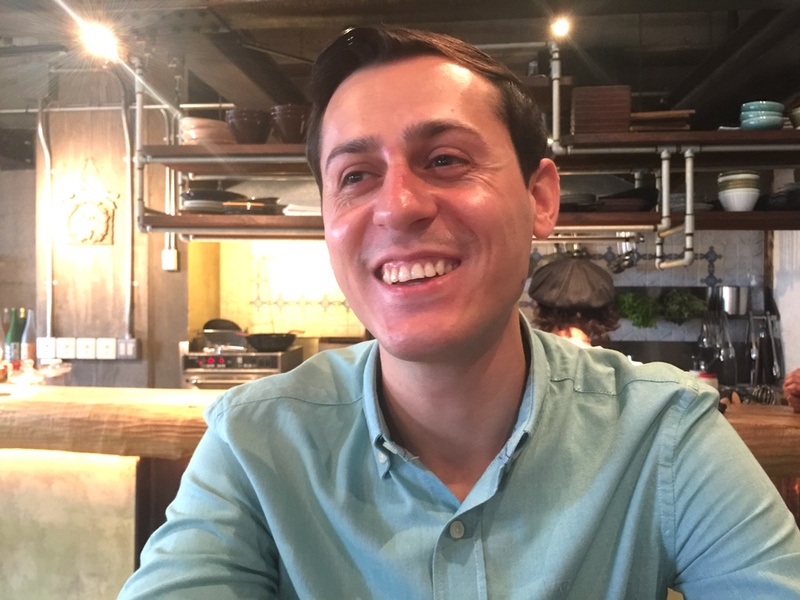 One day we received a mail saying, “I would like to collaborate with you.” The mail came from Serkan, a Turkish man who has his own online platform which provides information about food events to visitors to Tokyo. 1. He is from Turkey. We’ve never happened upon a Turkish IT entrepreneur in Japan. 2. He is Muslim, which means he must have food restrictions. It is interesting that that kind of person introduces events even related to ramen or sake. 3. He tries to help children who are in need of food through his business. We met him right after Ramadan and explored the origin of his uniqueness. Japan is the same as my country. Japan also has many different kinds of food and Japanese cuisine is very popular in the world. Surveys show that the greatest reason foreign tourists visit Japan is to enjoy food. It means food is a big motivation for their trips to Japan. Tokyo, in particular, is a “culinary center” of the world. The number of Michelin restaurants in Tokyo is the highest in the world. Also, there are 165,000 restaurants in the city. Tokyo is heaven for foodies. Those are the reasons I came up an idea of providing information about the food available in Tokyo. But I wanted to focus on something specific. Tokyo is full of information on restaurants. You can easily find good ramen shops in the city through media. But how about the “Food experience”? Many of you would want to make your own ramen if you come to Tokyo all the way from your country. So I launched the website called “Tokyo by Food” in order to help those people. We provide information about food events in Tokyo where you can make your own ramen, sushi, tempura or whatever you want. As of July 2018, we have had a total of 73 events – 42 cooking classes, 22 food tours and 9 other food experiences. Halal/vegetarian/vegan/kosher food events are available, too. We’re open to people with diverse cultural backgrounds. We only focus on food events, which means you can find any food experience in Tokyo. 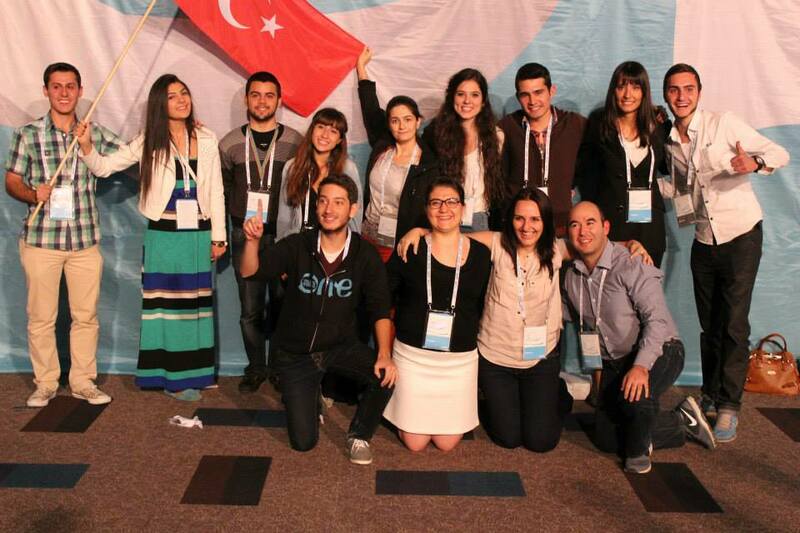 My career started at IBM as a part-timer when I was a sophomore in Turkey. Then I entered Turkey’s biggest telecommunication company as a Full-time Digital Marketing staff after graduating university. I gradually wanted to learn more about the digital technology and industry, so I decided to study abroad. It was expensive for me to study at a university in the United States. I was not interested in Europe because it’s not so different from Turkey so I chose Asia. Above all, I was really interested in Japan. We Turkish love Japan, Japanese people and Japanese culture because we have a good relationship with Japan. We know the story of the Turkish frigate “Ertuğrul”. While returning from a voyage to Japan in the late 19 century, she encountered a typhoon off the coast of Wakayama Prefecture. More than 500 people died, but about 70 survivors were rescued by local Japanese people, doctors and nurses. All of us hear the story, so we are deeply grateful for Japan. I was not planning to stay in Japan for a long time, but I wanted to be here longer while I was in the university in Niigata so I looked for a job opportunity in Tokyo area. I moved to Tokyo and joined the E-commerce company selling Japanese products to overseas after I graduated from the university as the top student of my class. I worked for the company as a marketer for a year and a half until this May. Actually, I launched Tokyo by Food in January 2018, before quitting my job. Originally the seeds of the project were planted while I was in Niigata. Some restaurants are open only in the evening so a friend of mine and I thought that it would be interesting if chefs have cooking classes at their places in the morning. But they told us that they were busy during the daytime. Then, we came up with another idea like creating a portal which contains cooking classes at kitchen studios or homes around the world. But, my friend went back home, so I gave up the plan because it was too big to develop alone. Then, I decided to focus on Tokyo and deal with not only cooking classes but also food tours. That’s how Tokyo by Food was launched. Fortunately, I found a business partner from Turkey who’s been in Japan for decades. The number of foreign tourists to Japan is increasing rapidly. It was only 6 million about a decade ago, but 27 million people visited Japan in 2017 and the Japanese government is targeting 40 million foreign visitors by 2020. My business will expand even if only half of them come to Tokyo. I’ll launch “Japan by Food” in 2019 and want to show tourists not only main cities such as Tokyo, Kyoto and Osaka, but also other areas in Japan. Eventually I want to make a global service “byfood.com”. For example, you can find any cooking classes or food tours in Thailand on my website if you plan to go to the country to experience local food deeper. Launching “by Food” services in all culinary centers such as Turkey, Thailand, Italy Spain, France – That’s one of my dreams. I have one more dream. It is “Helping children in need through my own service”. 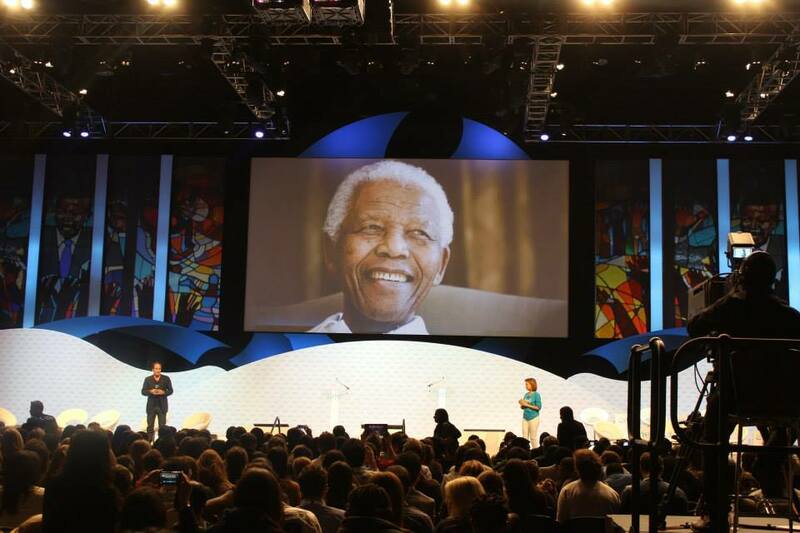 There is a London-based organization called “One Young World”, which organizes the world’s biggest youth conference. 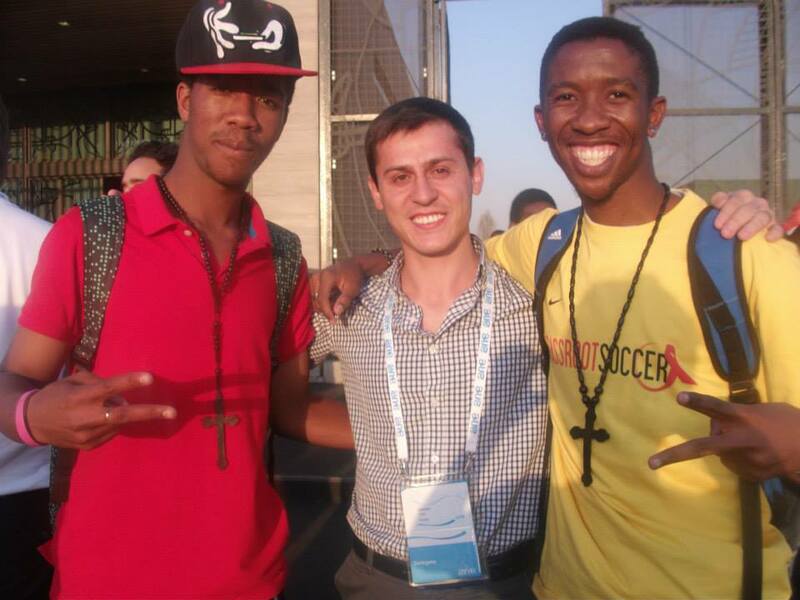 Young people join it from over 200 countries and discuss the social issues. Famous world figures such as Bill Clinton, Kofi Annan, Richard Branson and so on join them. I participated in it in 2013 when the conference was held in Johannesburg, South Africa, as one of the representatives of Turkey. At that time, I was the vice president of a youth association which organized youth exchange projects with European Union. We discussed mainly youth unemployment, gender equality, environment, culture and so on. That’s why a friend of mine recommended I join the conference, which I did after winning some competitions. That experience opened my eyes to social issues. Every participant was involved in social business and they had their own projects that help poor people, contribute to environment conservation and so on. I was really inspired by them and decided that I would help other people through my own business if I would start it. After I launched Tokyo by Food, I thought of helping people who do not have enough food because I work with food business. And I came up with an idea of helping people in need by joining events or tours through Tokyo by Food. But, I needed a partner to realize it. I went to South Asian countries in the beginning of this year (2018). When I went to Cambodia, I wanted to visit a place a friend of mine told me about. The place was owned by a Turkish woman who’s been involved in helping people for a long time. The village she lives is next to the Killing Field and it’s named “Living Field”. There are about 300 people in the Living Field and she prepares lunch boxes for children every day. Also, she builds new houses for them. She pays her own money for those things and her foundation also spends donations from others to help people in need. But, she never shows you her face or reveals her name because she doesn’t want to become famous. I was really moved by her sincere attitude. I wanted to go to her place, but I didn’t have enough time. So I went to her restaurant in Phnom Penh, the capital of Cambodia, because part of its profit goes to her organization. But, it was closed on that day so I sent an email to her. Finally, we agreed that ten lunch boxes are sent to children through her organization every time one person (Not one reservation) books a class or a tour on Tokyo by Food. If five people book a class, 50 lunch boxes are sent to children. That’s the project called “Food for Happiness”. Now, I can help children in Cambodia, but I want to help people in other countries as well through my services. 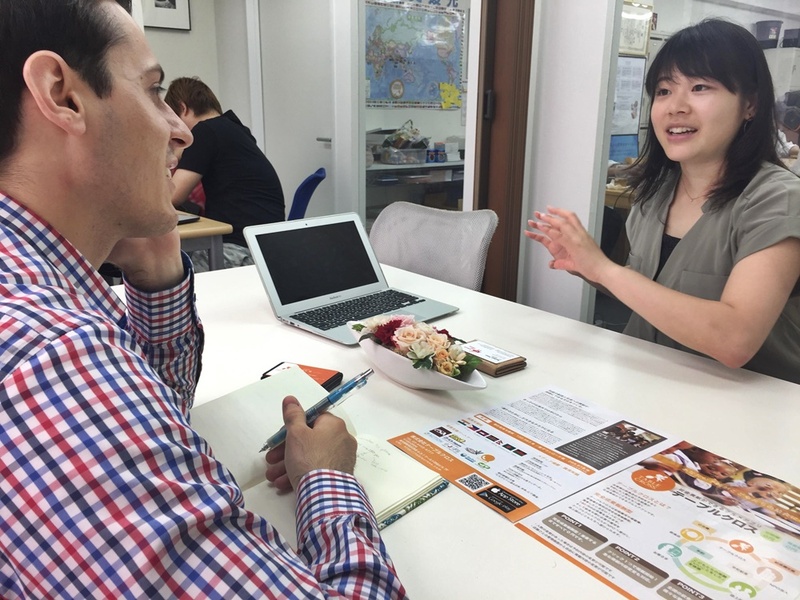 Serkan talking with Kaoru Joho, a Japanese entrepreneur. Her app called “Table Cross” enables you to give lunches to children in the developing countries through restaurant reservations. They share similar ideas so they hit it off right away. Tokyo is a city which has so many options. There are limitless options for food and drink in the city. I am always surprised every time I see restaurants and bars in every single small street. I like to go to “Yokocho” (横丁, Alley) in Kichijoji, Shinjuku etc and talk to someone sitting next to me at small bars. But what about the entrepreneurial environment in Tokyo? There are just a few options in terms of angel investment. In my impression, there are some corporate venture capitals that invest in the projects related to their businesses, but there are very few individuals who invest in the seed businesses in Tokyo. I wish Tokyo would give entrepreneurs more options and opportunities!